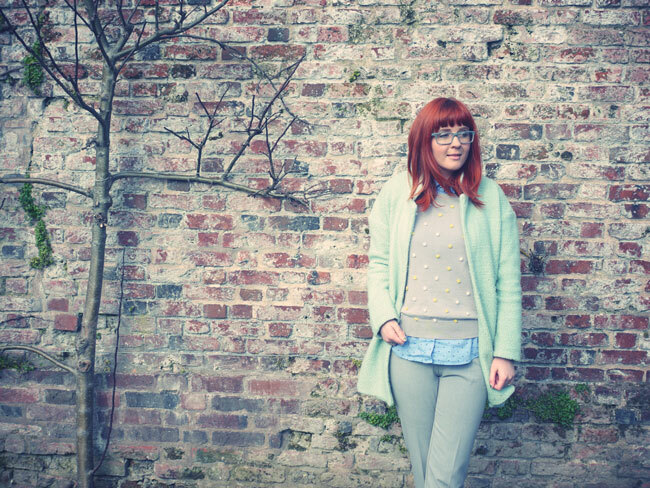 This little pom pom jumper is a current favourite of mine & its even better now that it finally feels like spring and I can team it with my cropped grey trousers. Not worrying if Im going to freeze without my coat on is a welcome plus to spring weather! 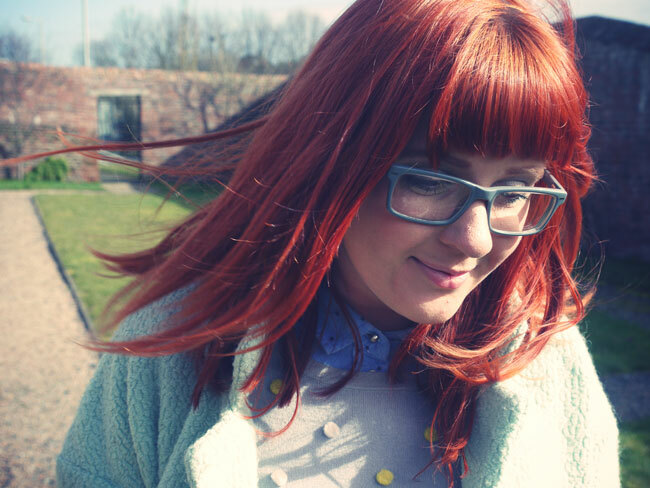 I was unsure when I recently dyed my hair a bright red copper if I could still wear certain pastels. 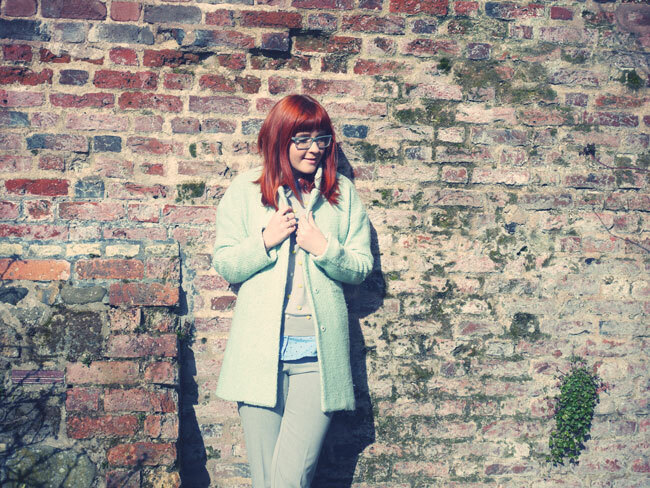 Especially mint green but I think it works well to off set the muted tones with my pretty vibrant locks! Its not like me to avoid colour so why start now ey?! Dave & I spent another full weekend together (yay!) and spent our days eating nice food, catching up with friends, wandering Homebase & TK Maxx & buying even more paint testers for our house. Coat c/o Sheinside, Denim Shirt c/o Sojeans, Jumper c/o Boden, Trousers: Forever 21, Loafers: Office, Watch: Casio, Glasses: Gok Wan. I love all the mint! The coat is great! I love the jacket the colour is beautiful. 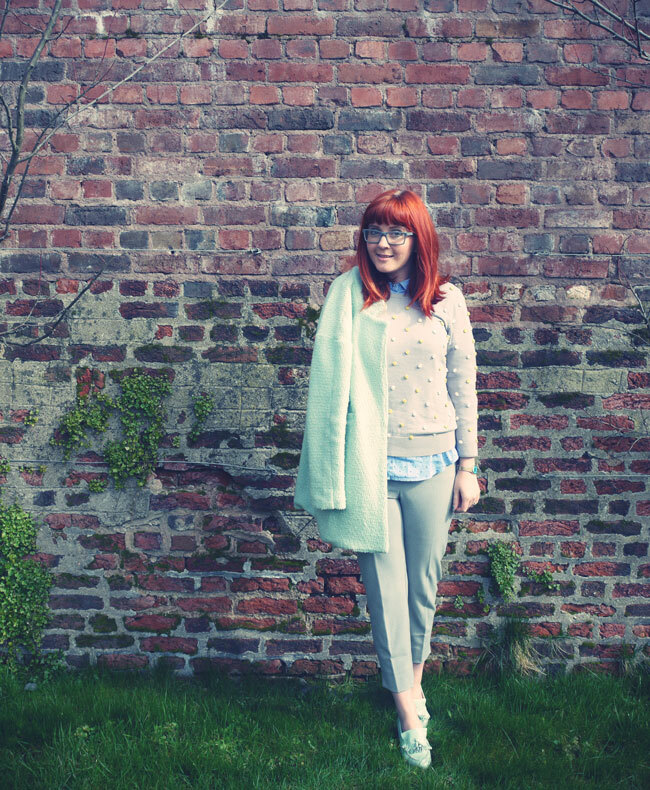 This look is so chic and preppy! Love it! 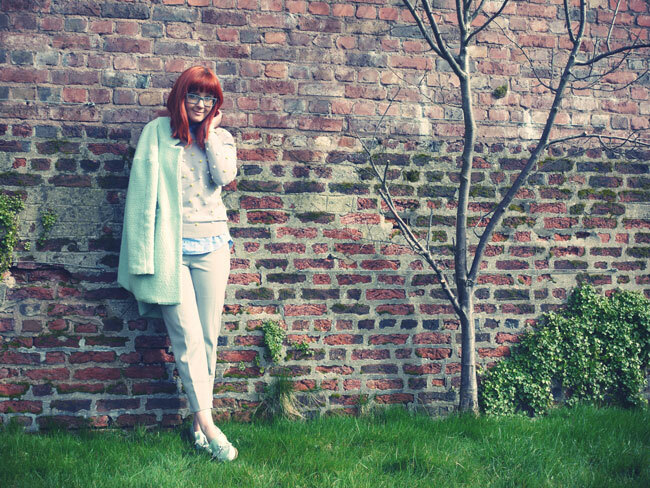 LOVE this outfit, that jumper/trousers combination is divine! 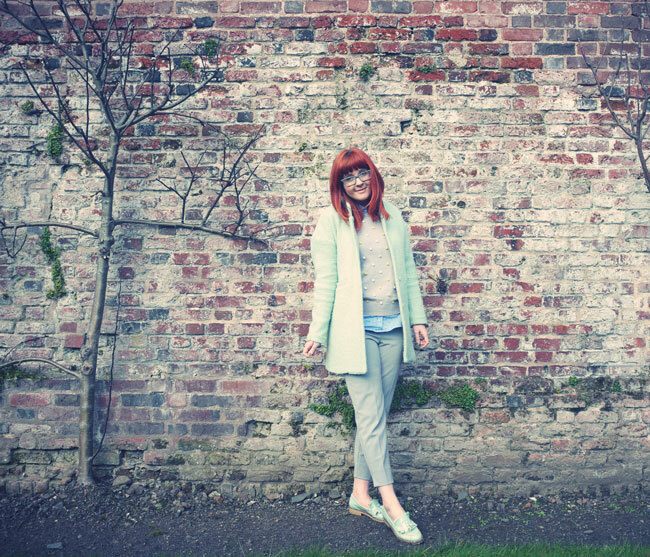 The pretty pastel shades in this outfit are wonderful! I think all pastels look great with bright red hair, but I have bright red hair and wear every color so I may not be the best person to ask. I really love your jacket here and the texture on your sweater. So cute.